A little over a month ago our refrigerator started malfunctioning (womp womp). So we finally bit the bullet and had to buy a new fridge. 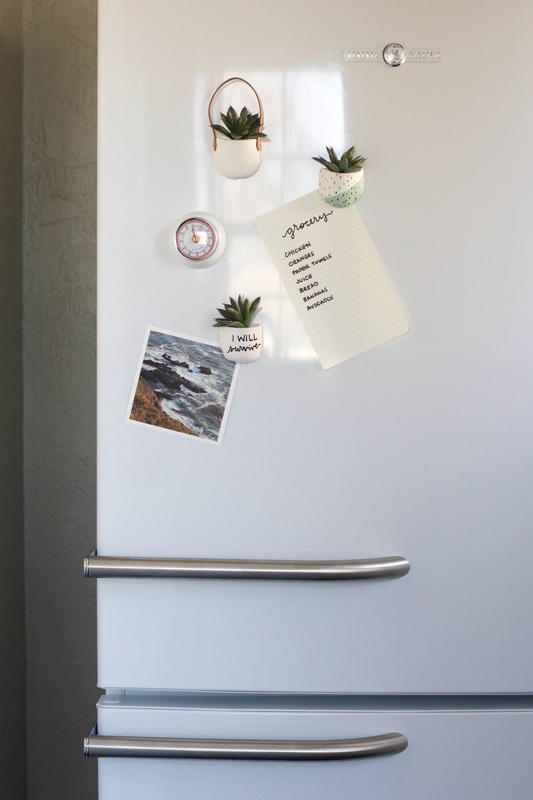 Buying a refrigerator was the last thing on my list of "wants" butttt when I found one as pretty as the GE Artistry Series fridge, I was a little more happy about our situation! We got it earlier this week and it is SO beautiful! I was inspired by this to make these fun magnets... Enjoy! How-To: Roll out your clay into a thin sheet. Using your x-acto knife, draw a U shape and close it off with a line across the top. This will be the back of the pot. Place your U shape on top of the sheet of clay and draw a wider U around it. This will be the front. 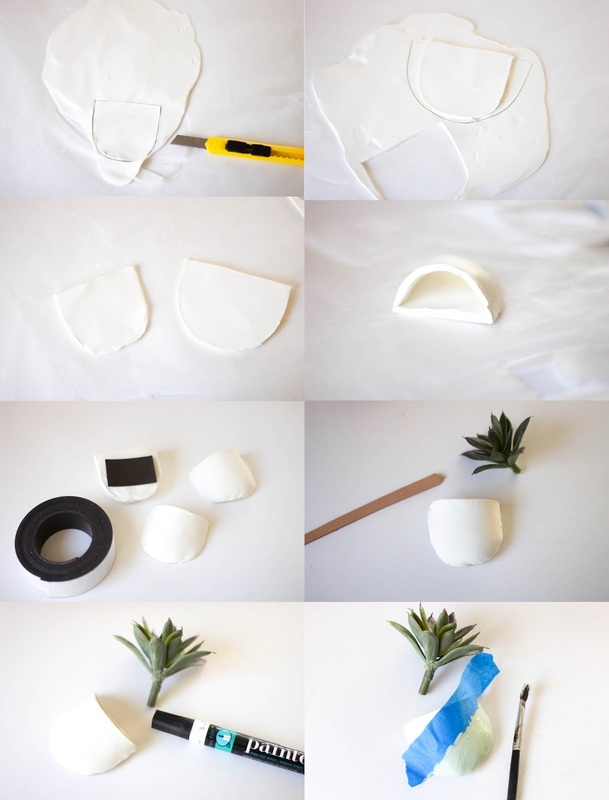 Take the wider U and attach it to the smaller shape by pinching the edges together. The front of the pot will bulge out to make the pot shape. Bake in the oven according to your clay package instructions. I baked mine at 275 for 12 minutes. 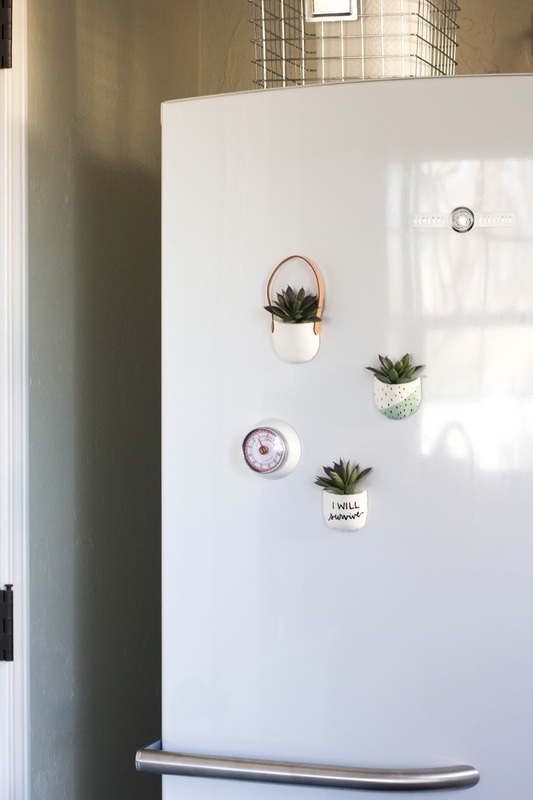 After your pot is cooled, now you can decorate! I painted one, wrote out a punny quote on another and I kept it simple on the last one by just adding a leather strap…which turned out to be my favorite! Finally, add a strip of magnet to the back with hot glue. 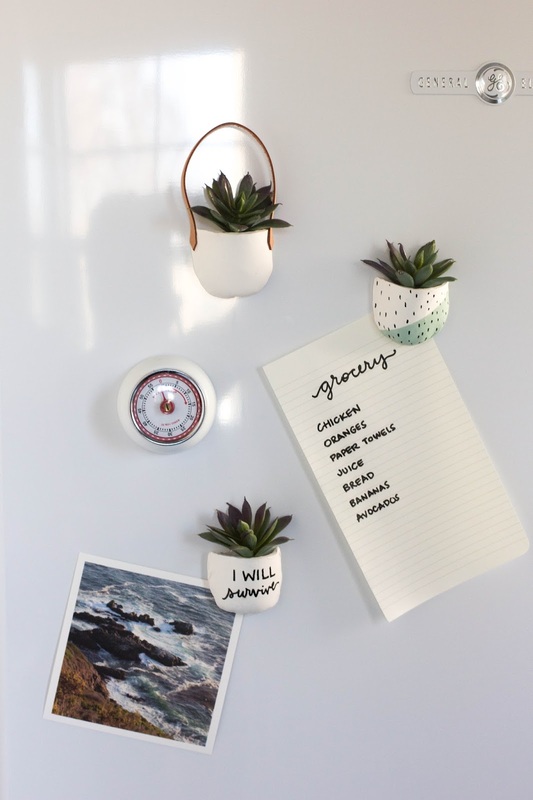 Drop in your favorite fake succulent or air plant and then stick those bad boys to the fridge! *is for optional materials and steps! Aren't they fun? You could also make these and add them to your wall in small clusters with tiny hooks to make a statement! Thanks so much Aki! I would love to see when you are finished! 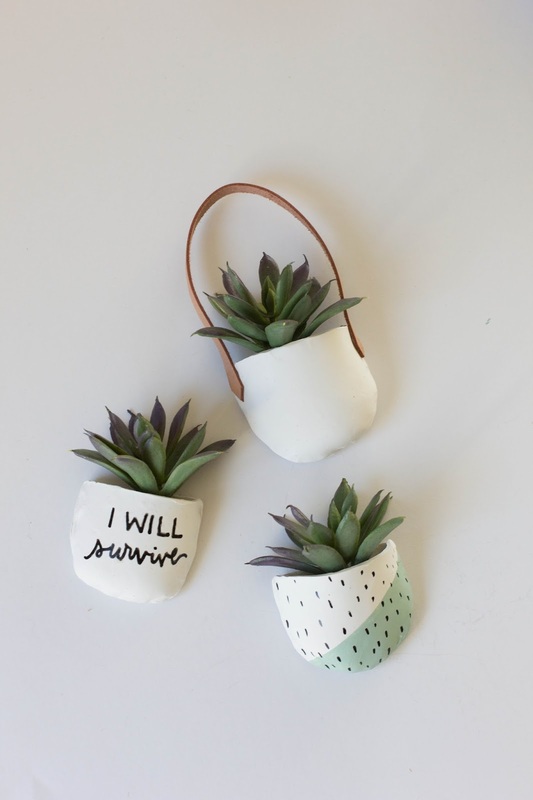 Sending this to my son, he Needs these, he has these little plants everywhere!!! He is the crafter of our family!!!! Thank you bunches!! !